National Conference vice-president Omar Abdullah lambasts the Centre's decision to restrict civilian movement on Jammu-Srinagar Highway, tweets letter by a family seeking to use the route to attend a wedding. 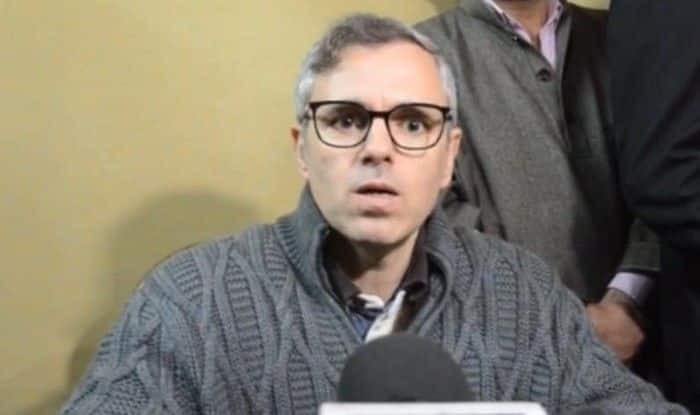 New Delhi: Former Jammu and Kashmir Chief Minister Omar Abdullah slammed the Centre’s new diktat of closing down the Jammu-Srinagar Highway for all kinds of civilian traffic on every Sunday and Wednesday, and tweeted a letter written by a family, requesting permission to use the route to attend a wedding. A family of 13 has written a letter to the district magistrate, demanding that they be allowed to use the highway for two days to attend a wedding in Doda. The letter also mentions their vehicle numbers. The government has ordered the closure of the Jammu-Srinagar highway for all kinds of civilian traffic from Udhampur to Baramulla every Sunday and Wednesday in order to facilitate movement of security forces for Lok Sabha election duty. It will remain effective till May 31. National Conference president Farooq Abdullah has demanded the immediate roll back of the restrictions, while PDP chief Mehbooba Mufti termed the government’s decision as “wrong”. The former chief minister said her party will go to court against the ban order. “Kashmir belongs to Kashmiris. That they will have to seek permission to use their own roads, we will not allow this to happen. I appeal to people to defy this ban,” she said. The decision came in the aftermath of the February 14 terror attack on a Central Reserve Police Force (CRPF) convoy on the highway in Pulwama district. Forty CRPF personnel were killed. On March 30, another attempt was made to target a CRPF convoy with a car bomb on the highway near Banihal in Ramban district.